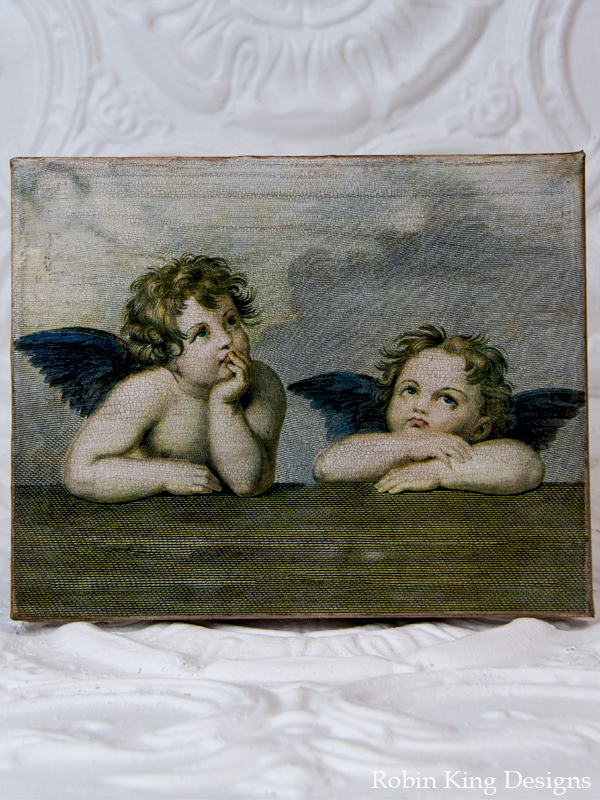 This 8 by 10-inch canvas is aged beautifully with my decoupage crackle finish. It may be hung directly on the wall or placed in a frame. A beautiful canvas anywhere in your home.